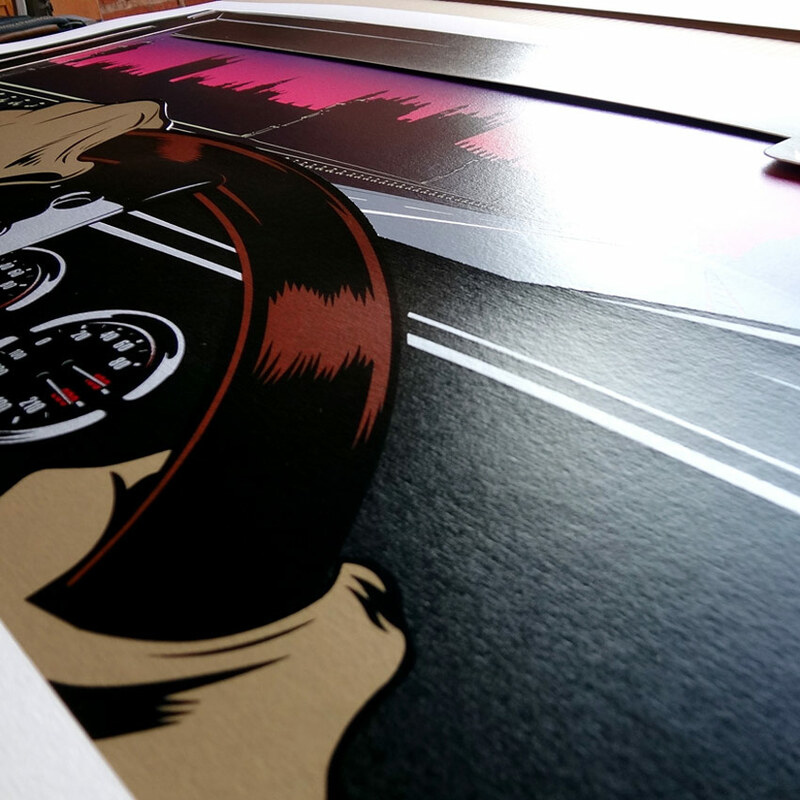 This RUN comes signed and numbered by Dface. 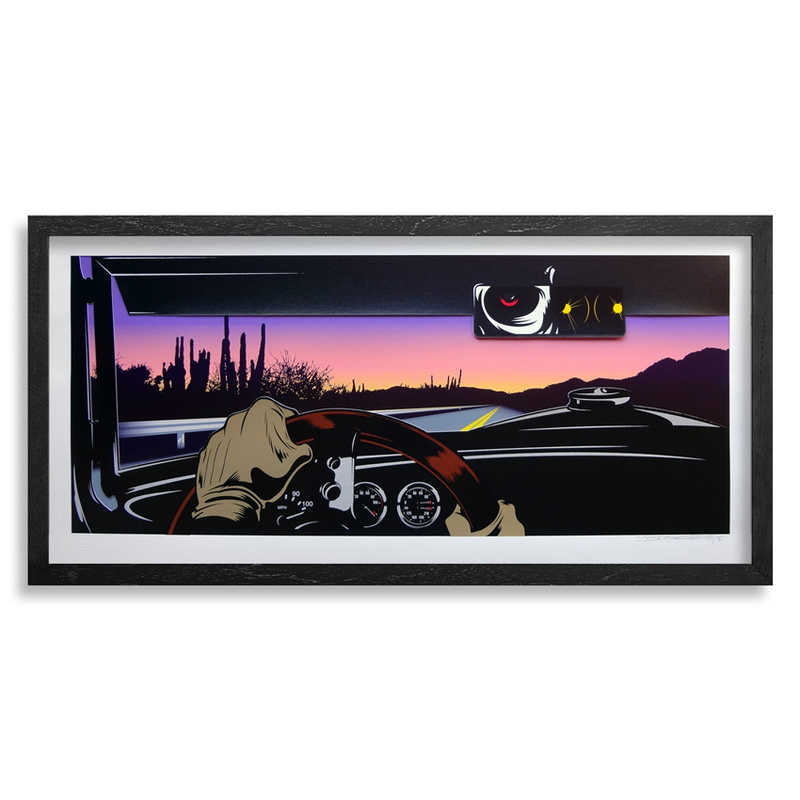 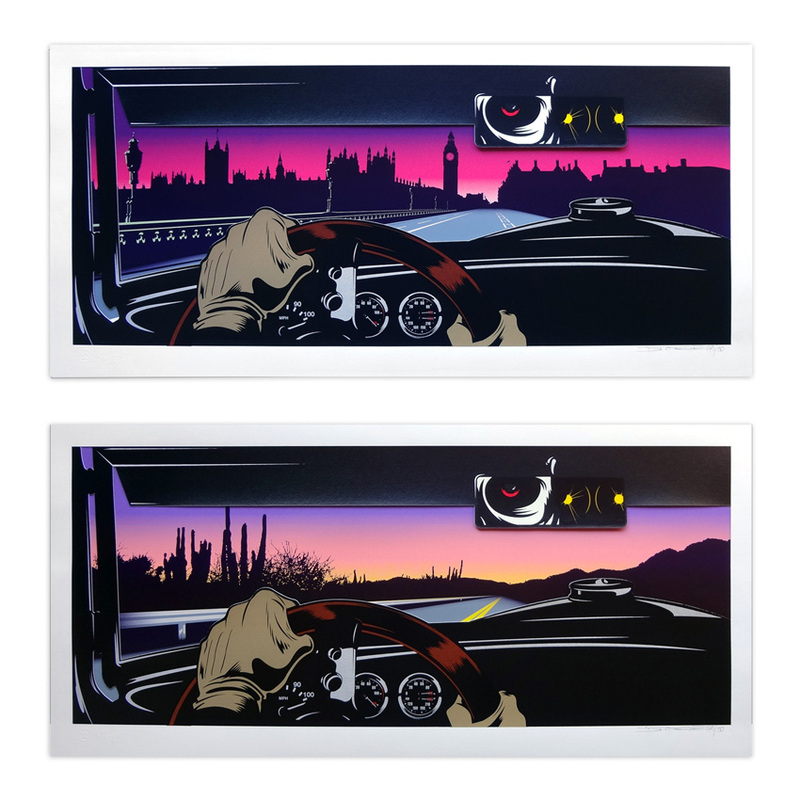 NOTE:This print has three die cut layers: one that shows the driver and two where a London city skyline and a Californian plateaou are shown. 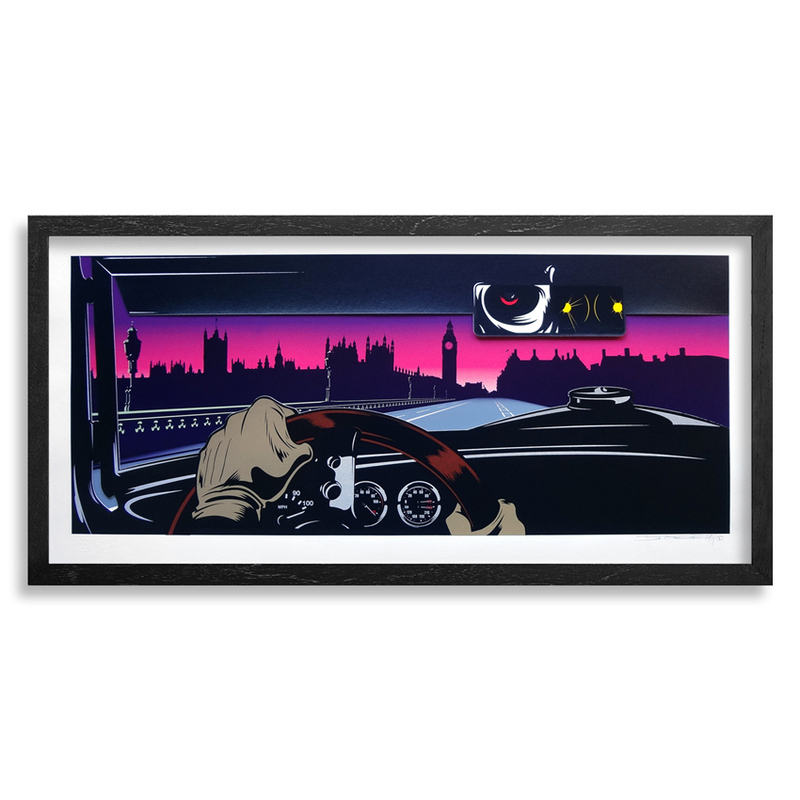 D*Face is one of the most prolific contemporary urban artists of his generation. 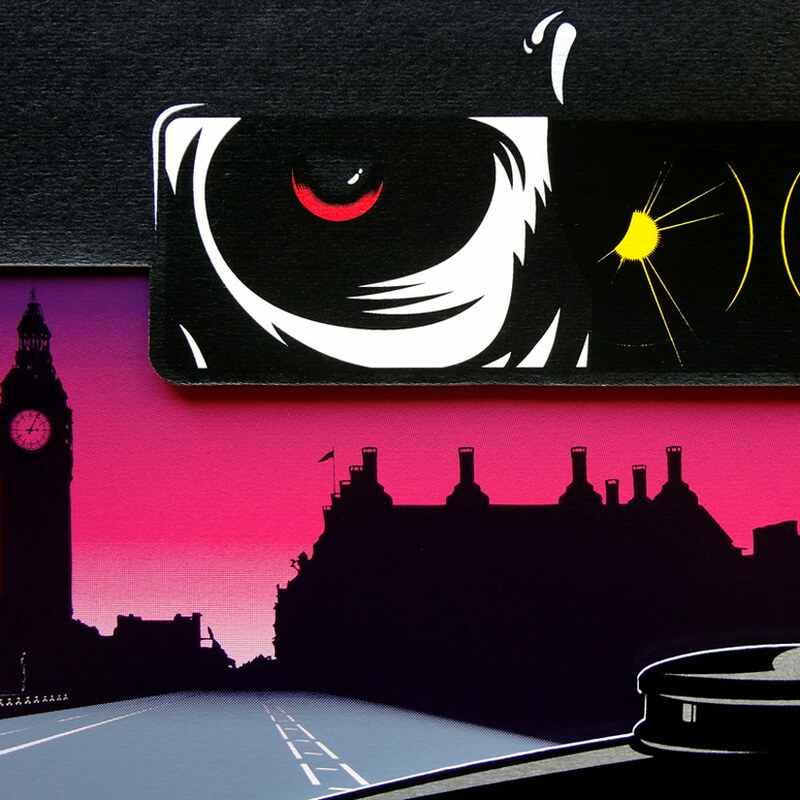 Working with a variety of mediums and techniques, he uses a family of dysfunctional characters to satirise and hold to ransom all that falls into their grasp - a welcome jolt of subversion in today's media-saturated environment.